Artificial grass is becoming more and more popular in urban areas where there’s not many grassy areas, especially for dogs. Apartment dwellers with dogs in large cities like New York City often find that there just aren’t many good places to take their dogs for play and potty time. Dog parks are a great option—if you can find a nice one near you. K9Grass is known around the country as the superior surfacing solution for dogs, making it the #1 choice for dog parks and potty areas. 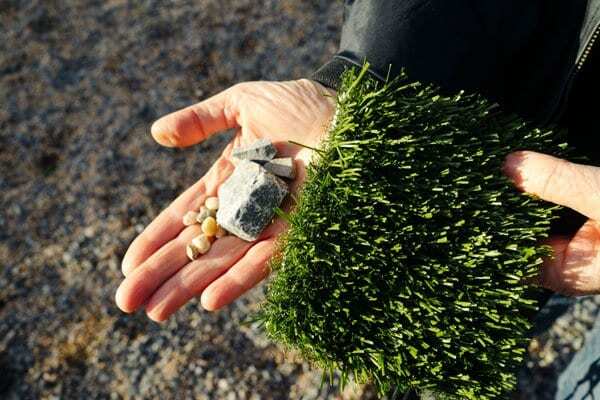 An article in the Brooklyn Paper out of New York, New York brings up an issue that Brooklyn locals have identified, and the solution they are demanding is K9Grass by ForeverLawn. One local in particular, Sandy Balboza, brought up the issue of the gravel surfacing at the Pier 6 dog run in Brooklyn Bridge Park. Sandy sits on the park’s volunteer Community Advisory Council and has a 5 year old poodle who she adores. Sandy and many other locals are claiming that the gravel used at the park is painful on dogs’ paws, and can also harbor bacteria. Their proposed solution? K9Grass. The main draws are the turf’s attention to safety and its soft, natural feel. The article says, “Park honchos asked Balboza and 11 others to come up with a report last year suggesting a replacement surface, and Balboza has since collected 200 signatures supporting a special dog turf called K9Grass”. To learn more, read the full article on Brooklyn Paper.